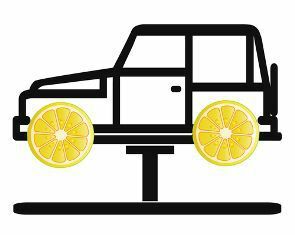 Virginia’s Lemon Law May Not Cover Your Used Car | The Consumer Law Group, P.C. Virginia’s Lemon Law offers a wealth of protections for consumers purchasing new cars that come with defects, but not all used car purchases are protected. In fact, previously owned vehicles are only covered by this law if the original manufacturer’s warranty has not been in effect for longer than 18 months and the warranty has not expired. If you have purchased a used car from a dealer and find that there are problems that were not revealed by the dealer, you may still be able to take action. The Uniform Commercial Code (UCC). Under the UCC, a used-car sale automatically includes an implied warranty that the car is fit for transportation. However, used-car dealers may disclaim the implied warranty if they sell the vehicle “as is,” which they often do. Be cautious when agreeing to “as is” provisions. The Federal Trade Commission's Used Car Rule. The Federal Trade Commission requires dealers who sell five or more cars per year to post a buyer’s guide in every used car they sell. The guide must show whether the vehicle is being sold “as is” or with a used-car warranty, what percentage (if any) of repair costs is covered by the dealer under the warranty, and a list of the major defects that can occur on used vehicles. If your dealer did not provide a buyer’s guide, you may be able to take action under this rule. Magnuson-Moss Warranty Act. This federal lemon law prohibits the disclaimer of an implied warranty when a car is sold with an express written warranty. It also provides for the awarding of attorney fees in particular cases, and any damages suffered by you due to any breach of warranty. If you purchased a used car with a warranty, this act may help you make a claim. If you feel that you have been cheated in your used-car purchase, it’s worth contacting an experienced consumer attorney to see if anything can be done about it. John Gayle co-wrote Virginia’s Lemon Law and he will give you his honest assessment of your legal options. Click the link on this page to contact us now.